Unfortunately, the pig faced orc was not long to enjoy such fame. The other illustrators of AD&D rarely followed Sutherland's cue. Similarly, few miniature sculptors carved orcs in this style (with the central exception of Minifigs), especially as Citadel's bald and underbitten orc climbed to the top of the foodchain. As later editions of D&D came and went, the pig faced orc seemd to go extinct. Seemed to go extinct... but not quite. In the last few years, the pig-faced orc has made a triumphant comeback. 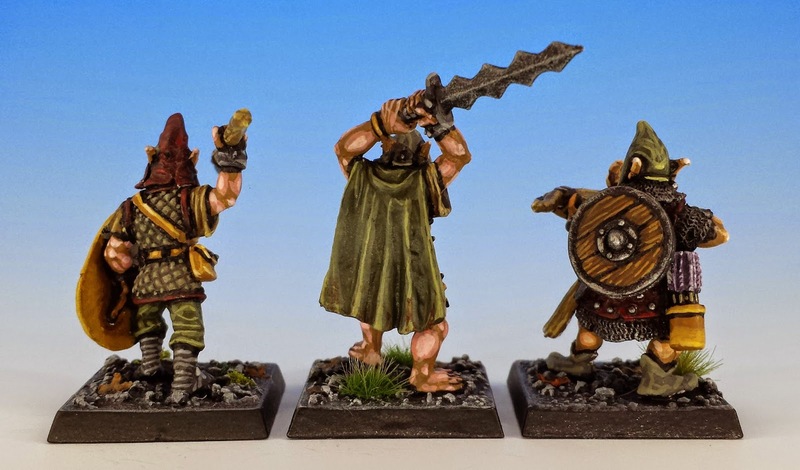 I think most of the credit has to be given to Otherworld Miniatures, who had the vision to commission some of the most talented sculptors in the field to produce new miniatures inspired "by the iconic imagery of the early role-playing games". 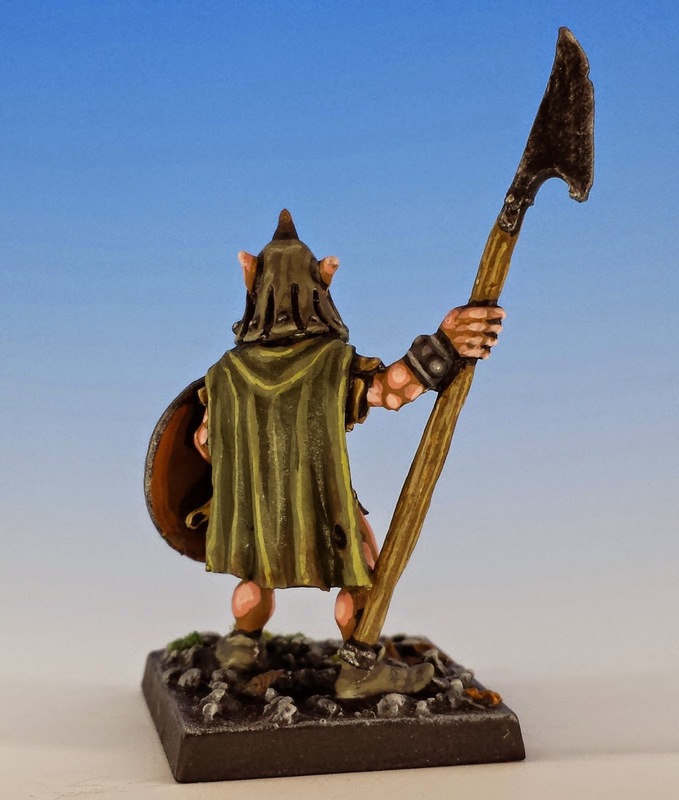 Among their first line of minis was the fantastic range of pig-faced orcs, sculpted by Kev Adams and featured (with my paint job) here. Otherworld Miniature are the other white meat. But that's not all. 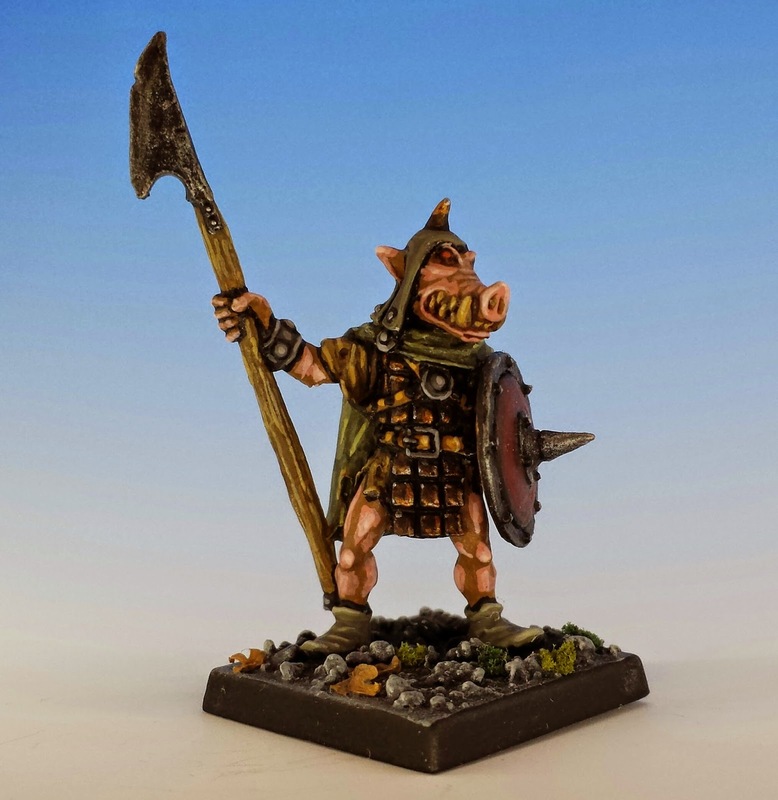 Wargames Foundry is selling a new line of pig faced orcs sculpted by John Pickford for their new fantasy wargame, God of Battles. 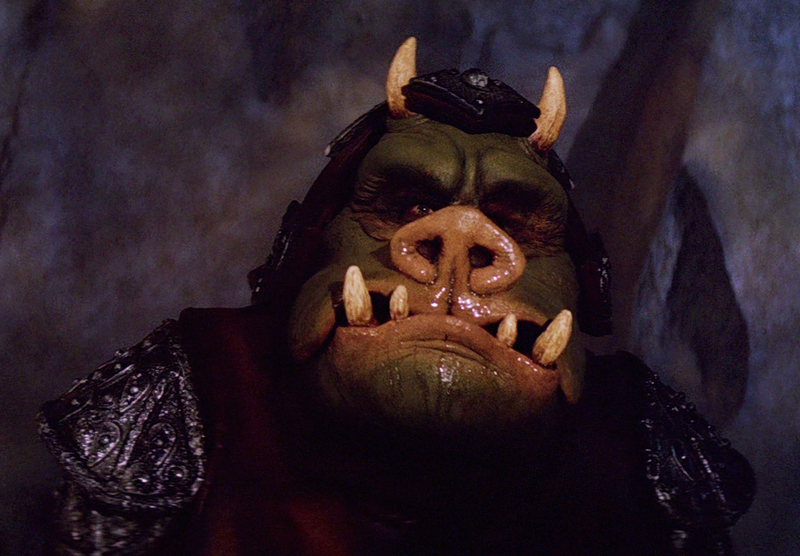 (I find JP's orcs more snouty than piggy, but pork is in the eye of the beholder.) Best of all, however, it appears that Dungeons and Dragons is readopting the pig faced orc as their monster of choice. In 5th edition D&D, orcs are now described as having "stooped postures, low foreheads, and pig-like faces with prominent lower canines that resemble a boar’s tusks." Piggies returning to D&D? That's what I call the circle of life. 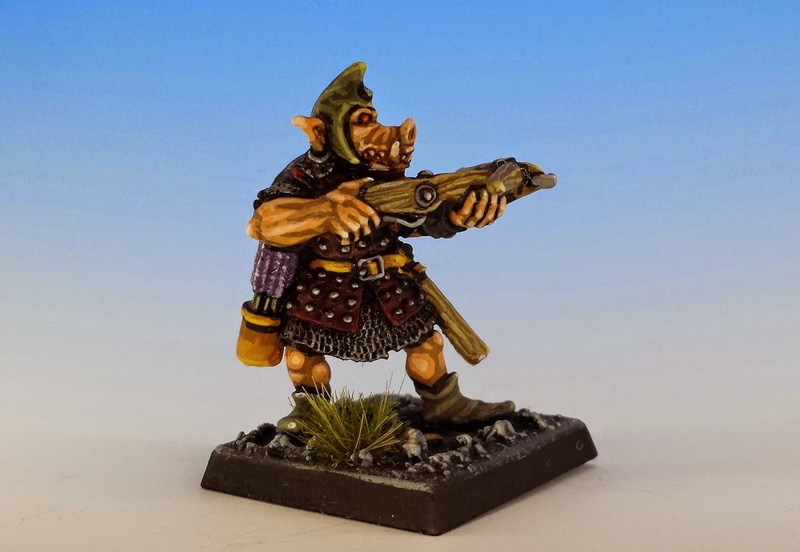 Ultimately, I attribute the survival of the pig faced orc to the same love of early gaming that has brought us Oldhammer. Yet it is not merely nostalgia. There is a powerful villany in the pig faced orc. Your run-of-the-mill green orc may be scary, but pig faced orcs are deeply weird. They represent our world rebelling against us. What we eat is now going to eat us. Oink oink. Those look simply great, what a lovely work! I suddenly feel the urge to get some of those! Those look just incredible, what a flawless work! I all of a sudden vibe the inclination to get some of those. I loved your post very much.